Over the next few weeks we’ll be exploring Flower + Gem Essences that are particularly useful during pregnancy, labor and postpartum (to learn more about what Flower + Gem Essences are visit our previous blog post). The wonderful thing about Flower + Gem Essences is that they are good remedies that, by their very nature, can do no harm which makes them wonderfully safe to take during pregnancy. Let’s begin by looking at the First Trimester. While every pregnancy is different (we’re all unique, folks, it’s true), often during the First Trimester there can be increased emotional and physical sensitivity, sometimes morning sickness, irritability and a vast array of emotions about being pregnant. The following Essences may be helpful in bringing balance to these various emotional states, ultimately giving space to be able to process what we are feeling and who we are becoming. 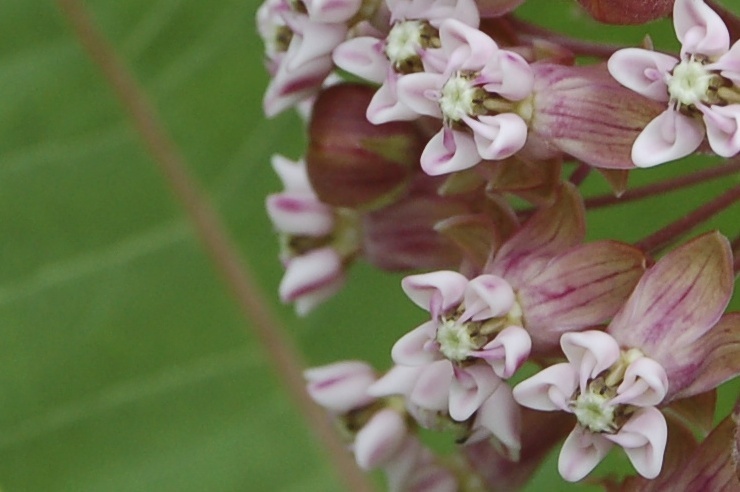 Milkweed is an incredibly nourishing essence, one that feeds the roots of our soul. For Milkweed, nourishment is getting exactly what we need by being exactly who we are - which is a wonderful lesson in living in maintaining the “I” in the myriad of roles we live as someone’s lover, friend, child, partner and community member. The first trimester can bring morning sickness, irritability, apprehension, joy, excitement and extra sensitivity – Milkweed is an ally during these early days, helping us to maintain a balance that feeds our spirit in the unique way it needs to be cared for. A wonderful heart opener, California Wild Rose helps us to fall in love with the art of everyday living. The essence of California Wild Rose infuses the spirit with enthusiasm, highlighting the ways that simple tasks such as eating well, resting deep, and laughing often are powerful services towards ourselves, the world and our relationships. I recommend heart-opening essences and herbs like California Wild Rose during transition phases in our lives because an open heart leads to greater compassion for yourself, your responsibilities and the ones you love during times of change. California Wild Rose is also wonderful for dealing with fatigue and it helps prepare the body for the journey ahead. Chamomile is a brightening essence, good for morning sickness, and is an excellent remedy for tension. Soothing and harmonizing, Chamomile helps bring perspective to the day-to-day, helping everyday nuisances slide off your shoulders. Chamomile is an excellent essence to take throughout your pregnancy and labor. I am including Cerato in our collection of First Trimester essences for those folks who have a lot of self-doubt of their inner knowing and their ability to make good decisions for themselves leading them to over-depend on the advice and recommendations of others. A great essence for those who often say “I just don’t know” and worry that any decision they do make will ultimately be the “wrong” choice. Cerato helps grow an inner confidence and shifts the process of decision-making into one full of obstacles to one full of amazing, affirming choices. We carry Milkweed and Chamomile in our S H O P and essences such as California Wild Rose and Cerato can be found from a variety of resources such as the Flower Essence Society and Bach Flower as well as local health food and natural healing stores.